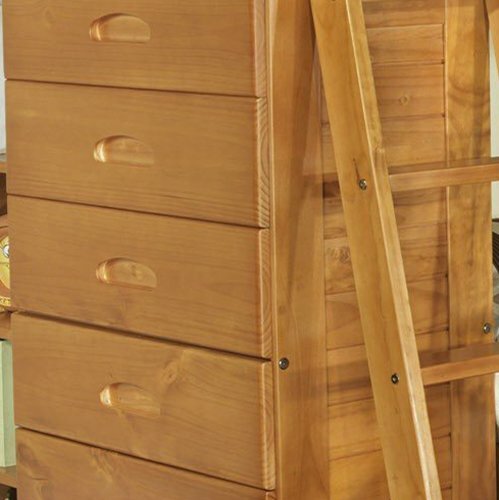 Dimensions: 79L x 43W x 41H in. 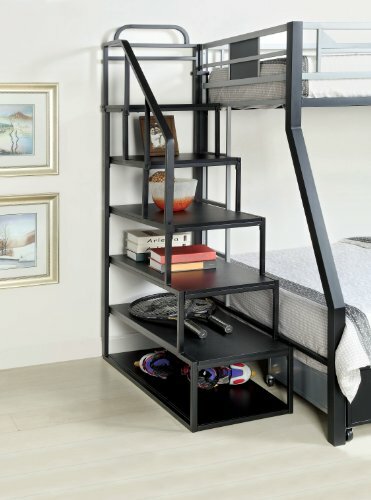 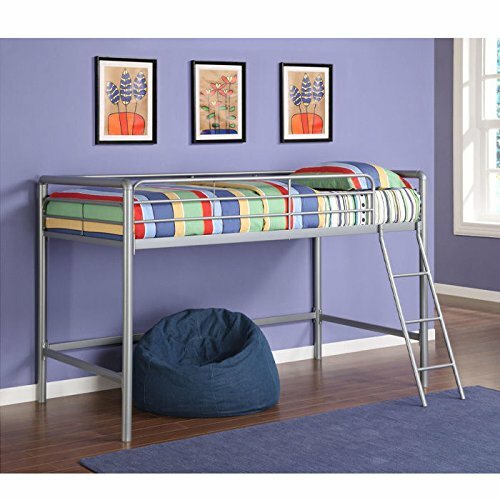 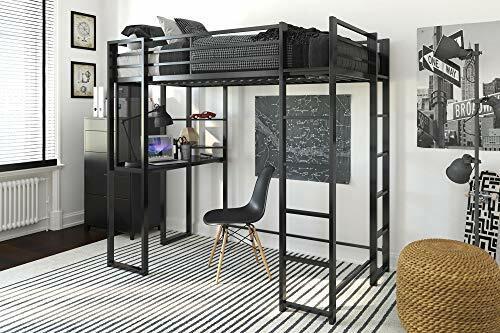 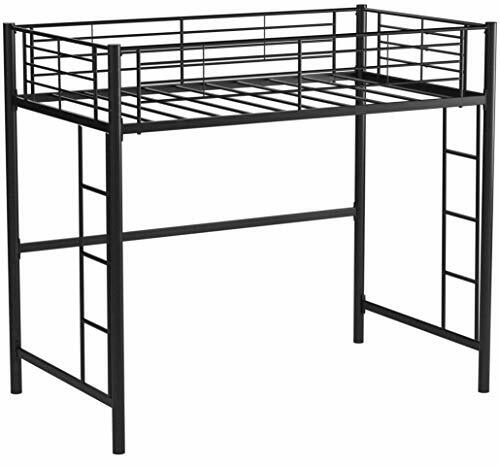 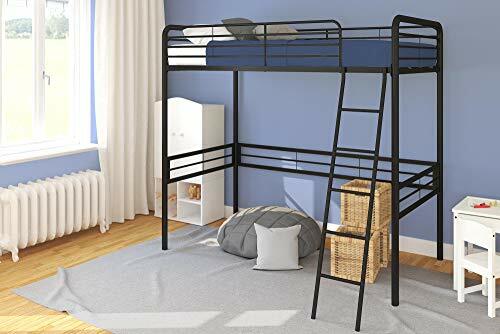 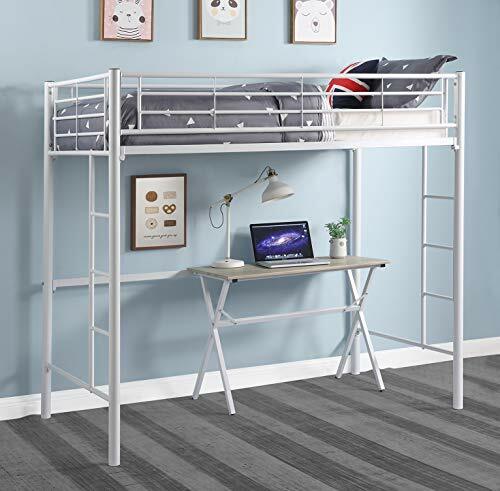 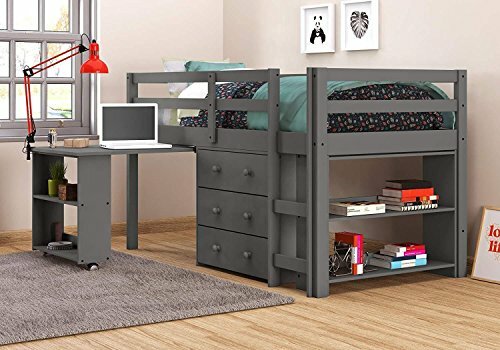 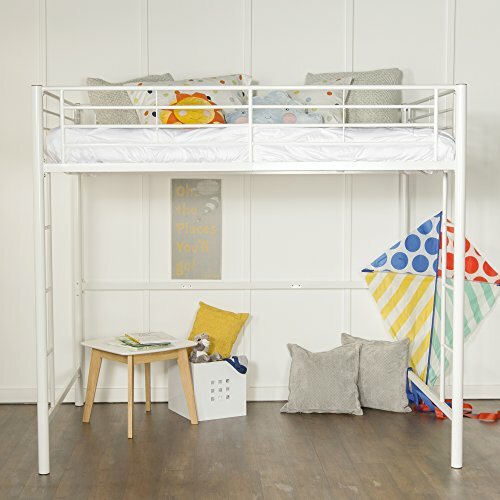 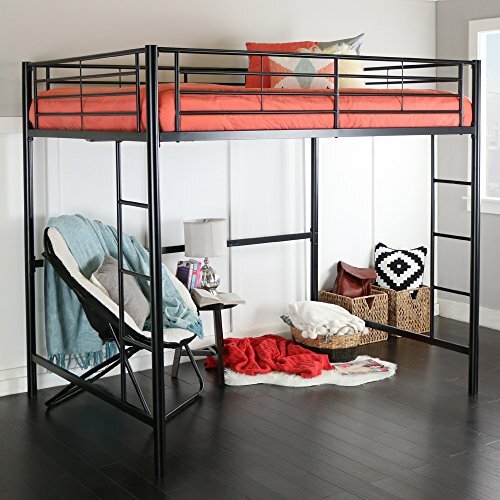 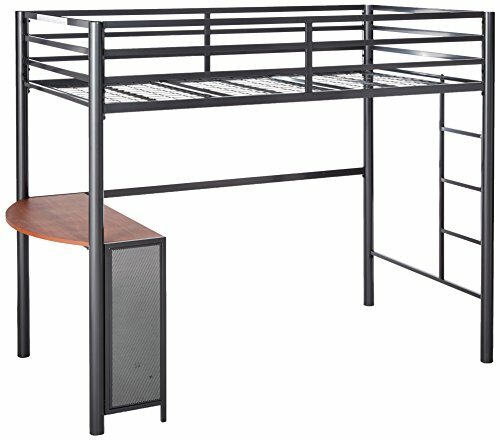 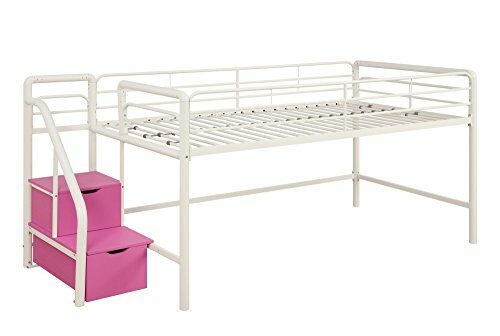 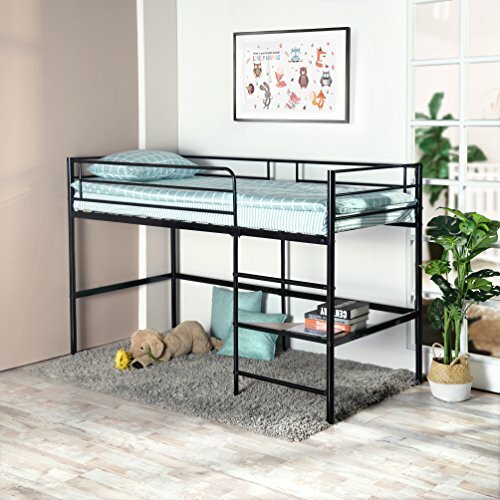 Metal loft bed: Best private place for kids’ bedroom. 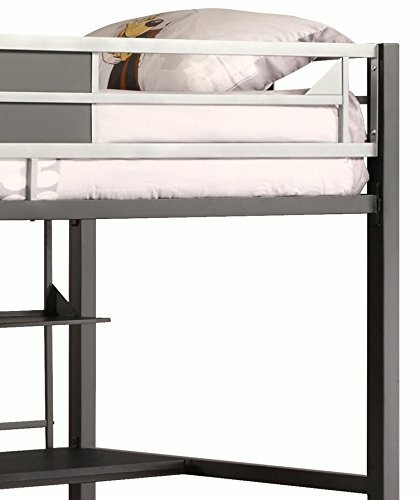 Upper bunk accommodates one twin-size mattress. 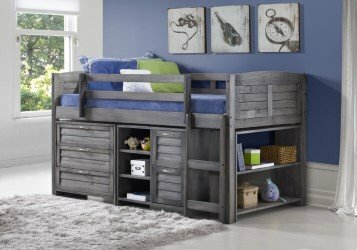 Enough play place for kids or extra space for storage under bed. 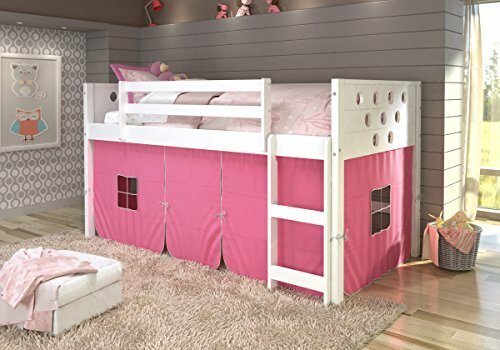 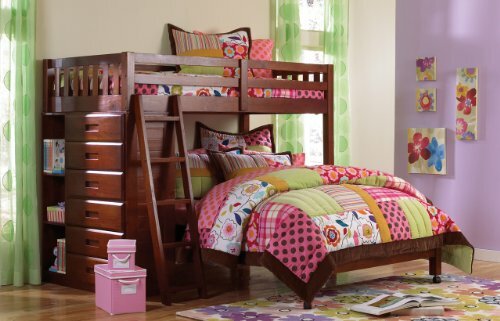 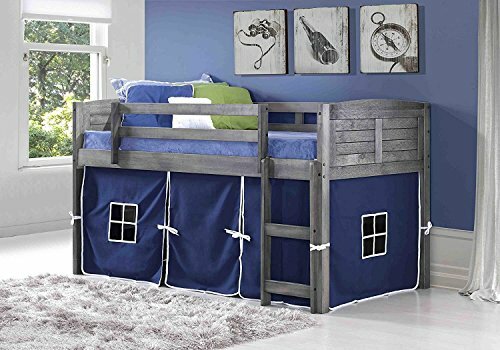 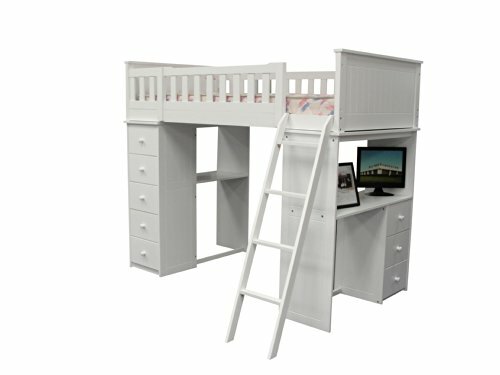 Twin size loft bed could be kids’ palace and castle after decoration. 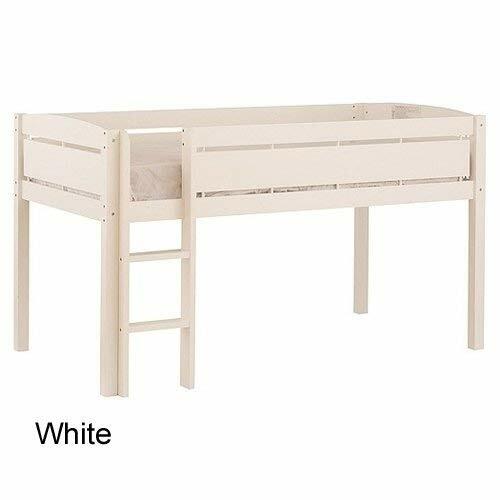 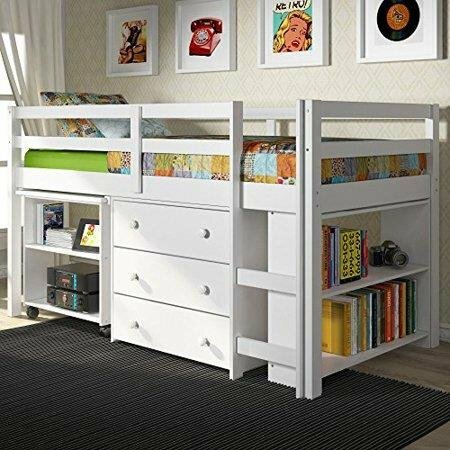 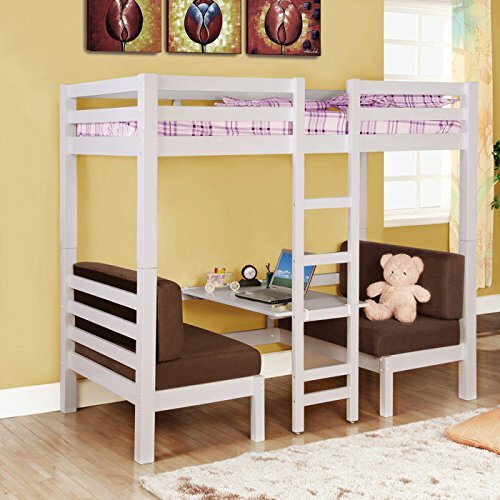 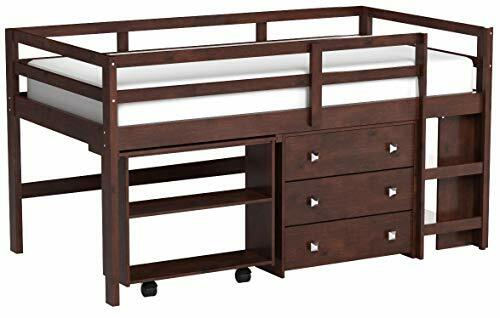 Twin size bunk bed with mini shelf and ladder : mini shelf collects books and toys under the bed. 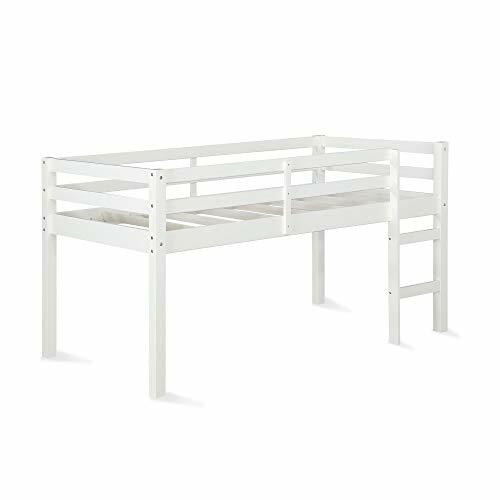 14″ guard rails on the top bunk keep kids safety when sleeping. 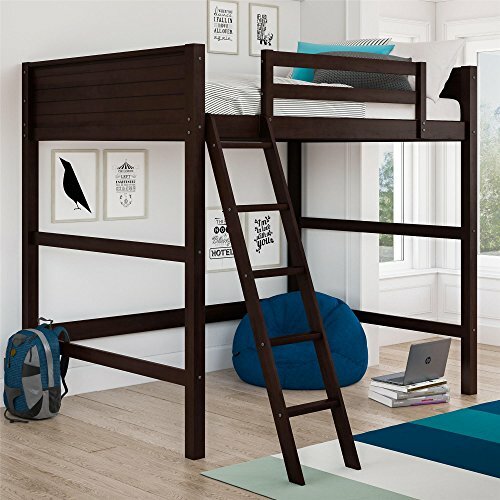 It is 36″ from bed base to floor, shorter height keeps safety. 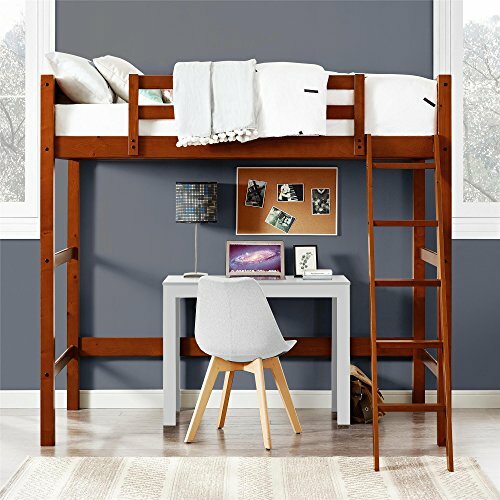 Low loft bed makes a variety of option below. 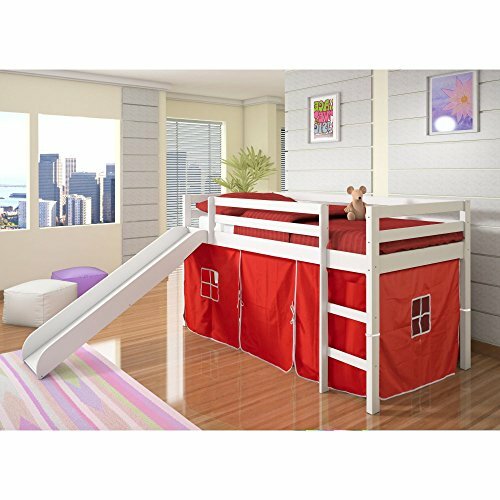 Add a tent to create a play or castle area, also could add a folding bed for visiting guests. 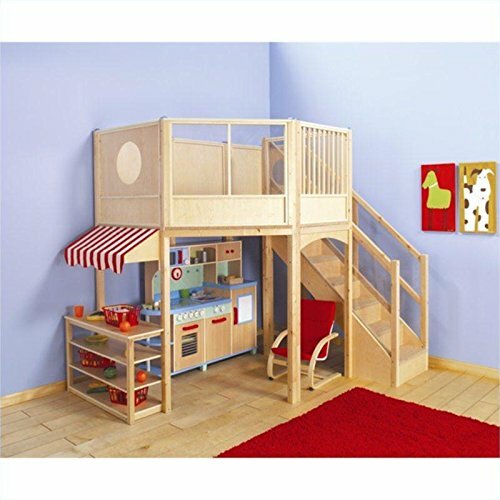 Features a spacious top and a play market below, All-In-One Kitchen and accessories not included.